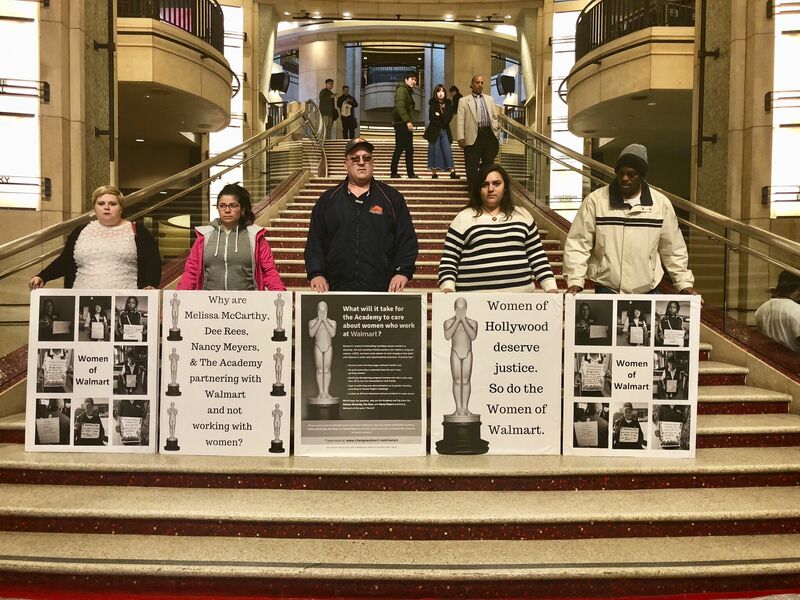 Making Change at Walmart (MCAW) held actions in Los Angeles a few days before the Academy Awards to highlight Walmart’s treatment of women. 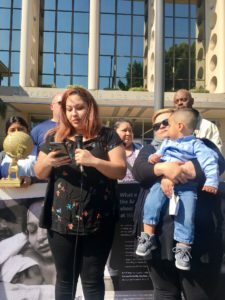 The actions included a human bill boarding outside a pre-awards gala on Feb. 28, as well as a press conference on March 1 at the office of the Academy of Motion Picture Arts and Sciences with Yvonne Gonzales, a former Walmart who told her story of being denied light duty at work while pregnant. The actions were preceded with a joint letter from MCAW and UFCW Secretary-Treasurer Esther Lopez to Melissa McCarthy, Dee Rees, and Nancy Meyers, urging them to stand up for the rights of working women and end their Academy Awards partnership with Walmart. 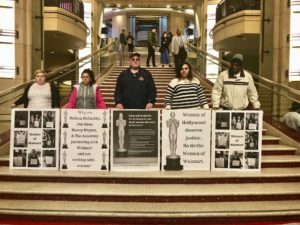 MCAW also published a full-page ad in Variety magazine which includes a graphic of the Oscar Award hiding its face, and lists several reasons and facts as to why Walmart is an unfriendly workplace for women, families, and pregnant workers. 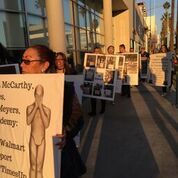 In addition, MCAW launched a petition asking McCarthy, Rees and Meyers to stand with women and denounce Walmart. The petition has generated over 9,800 signatures. You can sign a petition in support of this campaign here.